Ansel Adams was born in San Francisco and in his lifetime became the most important photographer of the rugged landscapes of the American West. His work in Yosemite, New Mexico, Wyoming and the Sierra Nevada mountains helped provide the photographic evidence used by the United States Congress to establish new national parks in those locations. 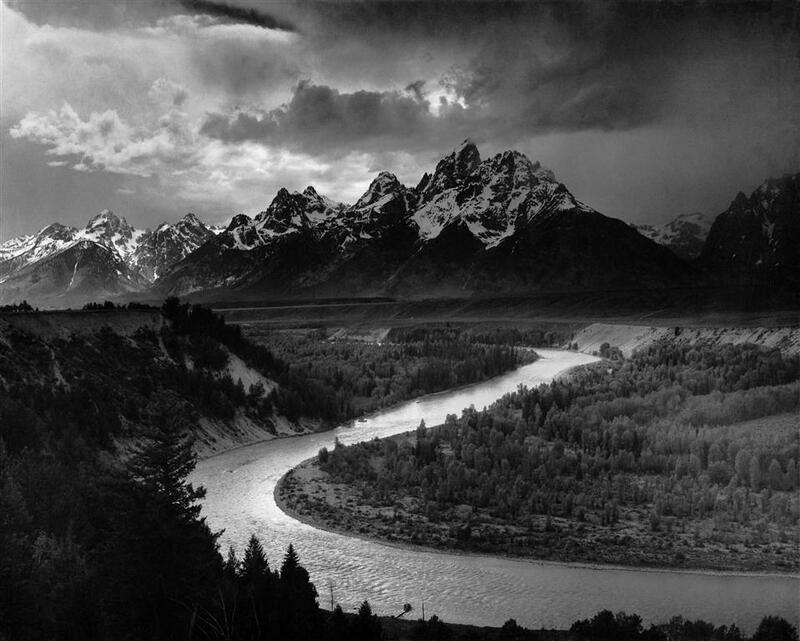 This photograph, The Tetons and the Snake River, has the distinction of being one of the 115 images sent into outer space aboard the Voyager spacecraft. Adams, Ansel. © National Archives and Records Administration, Records of the National Park Service Accessed 5 September 2010.